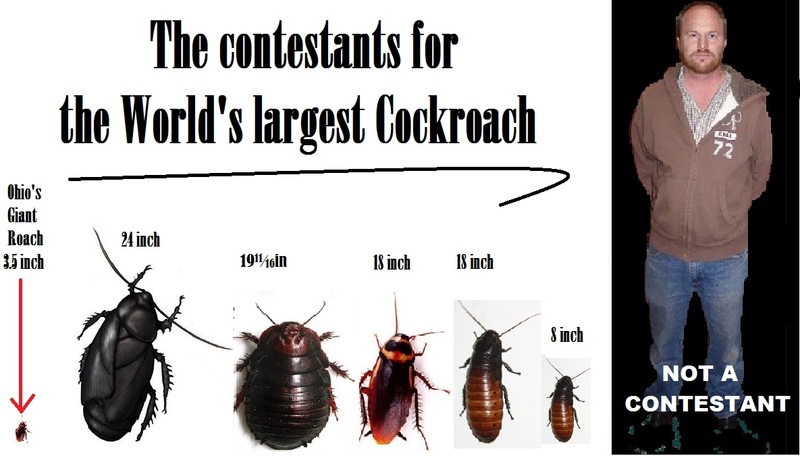 Above are referencing the largest roach in the world, this is false! As far as fossils go some give it to the 3.5 inch Ohio Fossil. The first 18 inch cockroach. Worked as Geologist in the US, Canada, Australia, England, Mexico, Peru and Bolivia. The Laws of SciencePart 2 of 6(…are Positive Evidence for Creation, and refute evolution! )Evolutionist-Converter Quotes from Video Lectures! Third: Grady McMurtry possesessed a slide from a book that, I still have of an 18” cockroach. Dr. Grady S. McMurtry earned Bachelor’s and Master’s degrees in science; received a Doctor of Divinity in Christian Apologetics, with a concentration in Creation Science; and, a Doctor of Letters. as well as the Creation Research Society and Phi Kappa Phi. Dr. Grady McMurtry was involved with Liberty Counsel, having served as Chairman of the Board. He works with the Russian Creation Research Society, Creation Science Association for Mid-America, and the Creation Studies Institute. If I had to point out any one Creationist who influenced me the most, who directed my past and whom I would call a mentor it is without question Grady McMurtry. I have been around a lot of brilliant minds but he is the smartest man, one who has the most valuable knowledge and what a scientist should be. I have seen many of his presentations I possess audio and videos of is presentations. 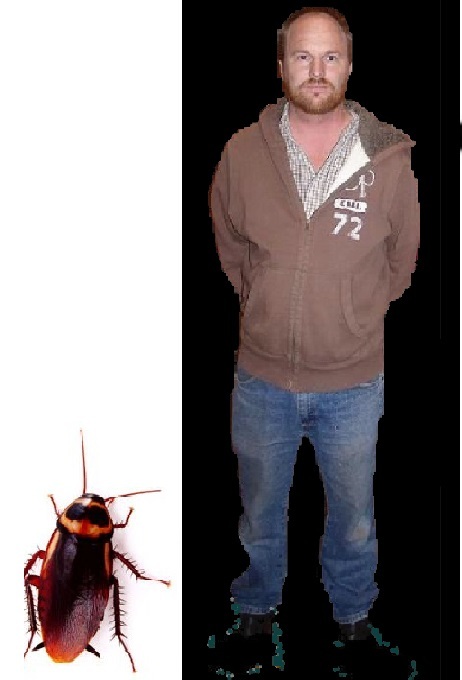 During one of his presentations while talking about the magnetic field’s affect on the maturity of animals, he showed a slide of an 18 inch cockroach. A photo of a fossil cockroach which he still possesses as do I. A publication from Grady McMurtry gave me is the 5th verification. 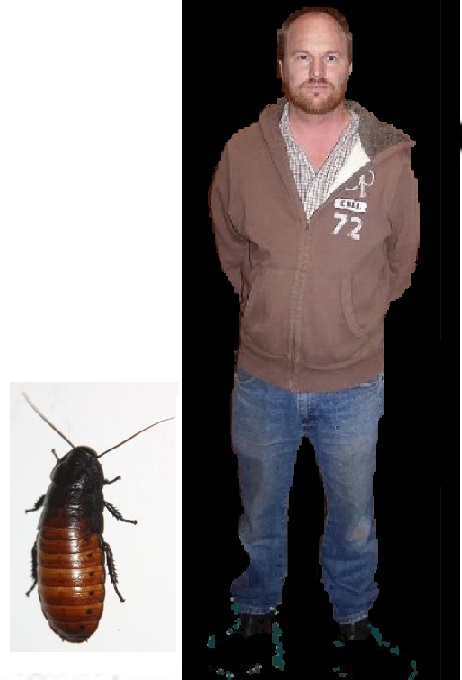 Upon reading the text while searching for information on the giant 18″ cockroach, I found verification of an 8″ cockroach. I will have to go through my files and add more information and sources on this one at a later date. 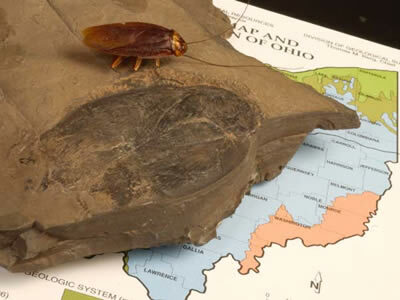 There are several researchers out of the Country that not only have fossil roaches larger than the 3.5 “Ohio’s biggest” in the State only roach, but have found roaches bigger than the 18 inch roaches reported by independent scientists. 5. The Apthoroblattina was a giant cockroach Carboniferous, measuring 50 cm, (50cm = 1911⁄16in) huge to be a cockroach. The Apthoroblattina was a giant cockroach Carboniferous, measuring 50 cm, huge to be a cockroach. which can reach a length of 9 cm. It is considered one of the world’s largest cockroach. 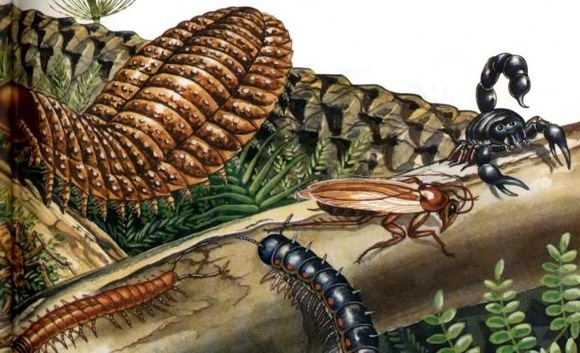 Presumably, their habitats would also be similar to cockroaches, scurrying along the weed and feed on anything edible, possibly from dead prey to primitive amphibians and reptiles. As cockroaches current design Carboniferous cockroaches an animal allowed to be off-road. Even could reach a speed of 45 Km / h …Presumably, their habitats would also be similar to cockroaches, scurrying along the weed and feed on anything edible, possibly from dead prey to primitive amphibians and reptiles. “Were there really giant cockroaches? It is widespread on the Internet in blogs and similar information that gender Apthoroblattina a prehistoric blatodeo apparently similar in morphology to cockroaches, presented copies in the Permian with a length of about 50 cm. It is Widespread on the internet in blogs and information like gender That apparently Apthoroblattina to prehistoric blatodeo like in morphology to cockroaches, presented copies in the Permian with a length of about 50 cm. Academic sources, however, attribute much smaller dimensions (between 43 and 45 mm in length) and placed in the Carboniferous. Academic sources, however it I attribute much smaller dimensions (between 43 and 45 mm in length) and Placed in the Carboniferous.
. . . Wow this is a good one!!! 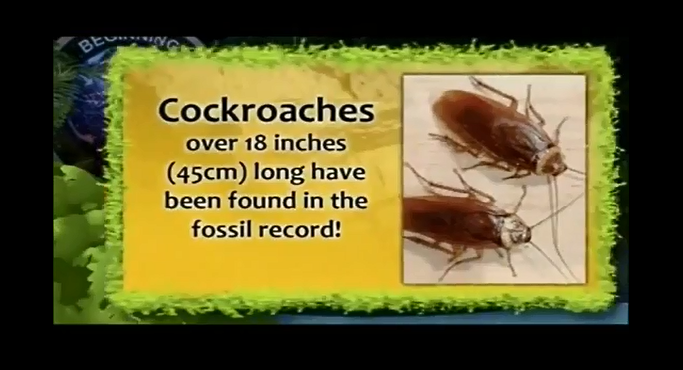 Claiming that the largest fossil cockroach is 149⁄64in 45 mm less than 2 inches. Horribly out of touch! Once a roach is proven to have a greater ancestor this is the lame response from academia: “Is it possible then, given the discrepancy as to the time and size, what is identified as Apthoroblattina is really another kind of insect? ) So once the existence of a roach far bigger than todays roaches is found it ceases to be a roach.” (implausible deniability!) “Or, even, that the supposed giant cockroach is just an urban legend? Or, even, That the supposed giant cockroach is just an urban legend?” . . . Why is it soo important for government academia to refute greater ancestry in spite of the evidence? . .
Ladies and Gentlemen, I present to Apthoroblattina giant cockroach only 50 cm long! it should read: (50cm = 1911⁄16in) lived in the United States during the Permian period. Monsters of ancient times. 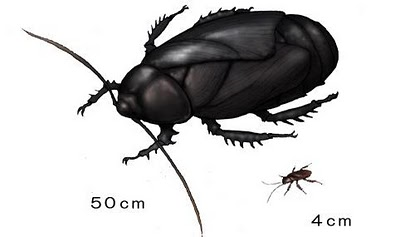 Apparently the largest cockroach that has ever existed is Apthoroblattina, a monster of the Permian (290-245 million years ago) that measured 50 centimeters long, Apparently the largest cockroach’ve ever Existed That is Apthoroblattina, a preserves even the most delicate details. The most delicate even preserves details. 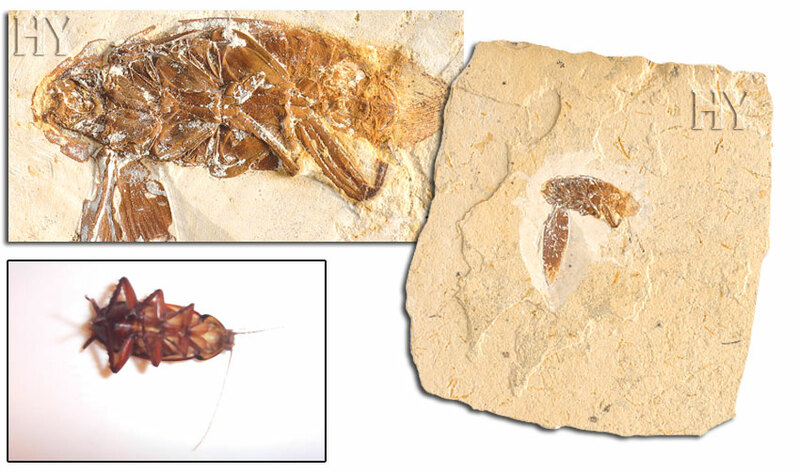 And well preserved fossil cockroaches, those in the Yixian Formation, . . .lower Cretaceous, in the Chinese province of Liaoning. THAT IS RIGHT the Chinese province of Liaoning NOT Ohio!!! Conclusion: there exists several independent researchers including myself that are highly credible and have research evidence for 8″ and 18″ cockroaches which are not an exaggeration of any kind. 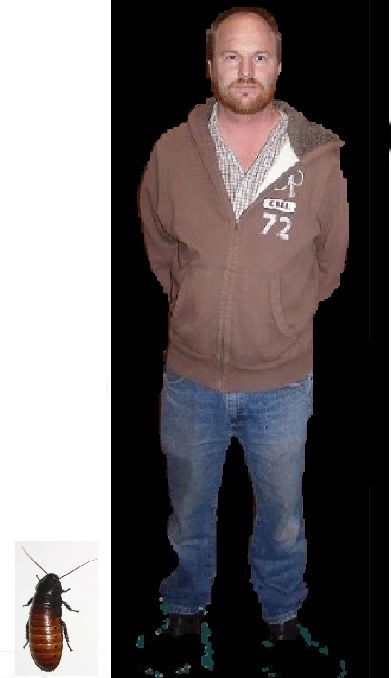 In all actuality we are a bit low in our estimations and research as their are many references to 1911⁄16 inch and even a 24inch cockroach.